PALMER — Four Dall sheep from the Talkeetna Mountains and two Kenai Peninsula mountain goats just made unfortunate Alaska history. The animals became the state's first wild sheep and goats to test positive for a pathogen known as Movi that has led to deadly outbreaks among bighorn sheep in the Lower 48 and is triggering calls for restrictions on domestic livestock here. The test results, announced by the Alaska Department of Fish and Game last week, confirmed fears that the strain of bacteria could turn up in Alaska wildlife coveted by hunters and camera-wielding tourists alike. The Dall sheep that tested positive — four out of 136 brought in by hunters — all came from an area east of Chickaloon and north of the Glenn Highway and Matanuska River. All appeared healthy. 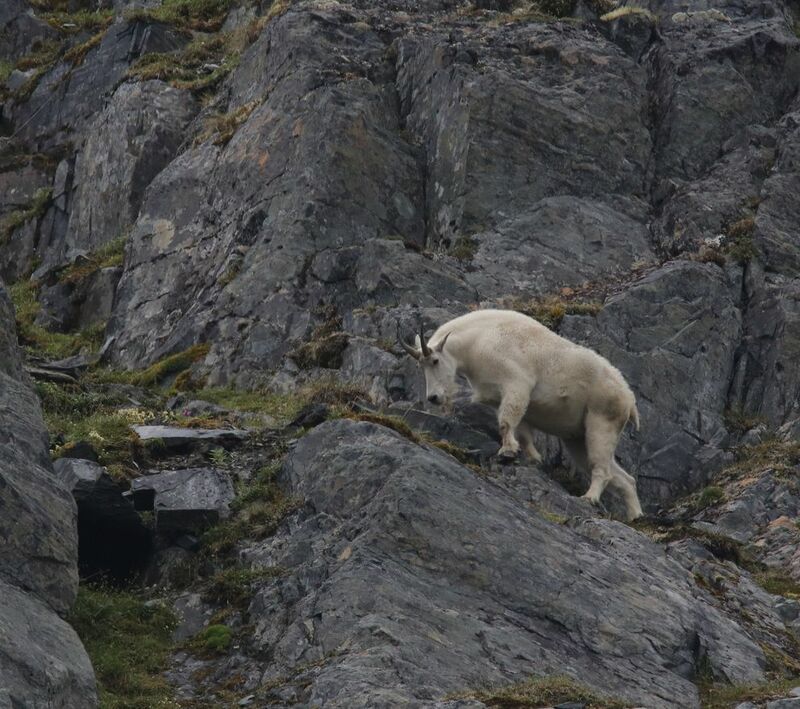 State biologists live-captured 39 mountain goats in Southeast and on the Kenai; two from the Kenai tested positive for Movi and showed no signs of illness, state officials say. The pathogen –Mycoplasma ovipneumonia — can pass from domestic livestock. It's considered a pathogen because it can prevent the small hairy cilia in an animal's lungs from clearing bacteria, allowing viruses to spread and cause pneumonia. 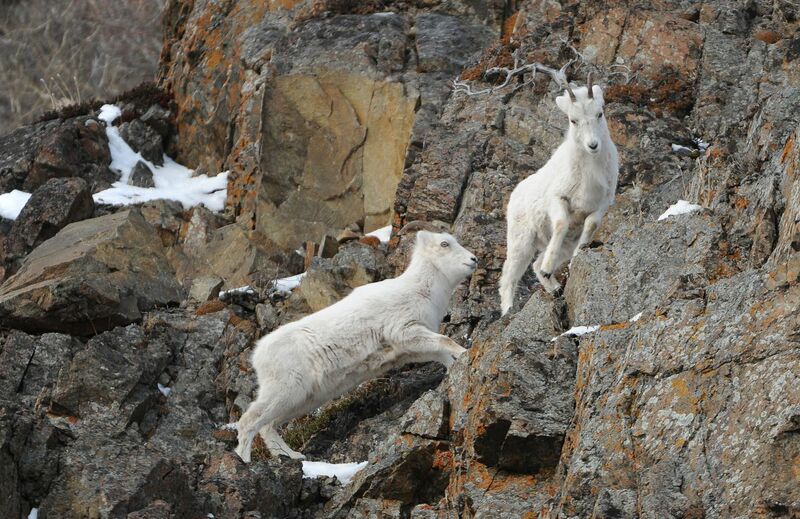 There's been no evidence of die-offs in Alaska's wild sheep or goats, according to Fish and Game spokesman Ken Marsh. State officials cautioned the preliminary results involving a small number of animals need more study before any conclusions can — or should — be drawn. They also don't know if there's any connection to domestic livestock. About 4 percent of roughly 350 domestic sheep and goats in Alaska tested in the past eight months came up positive for the pathogen. None showed signs of illness. The pathogen strains found in wild sheep and goats appear different from those found in domestic ones, according to state veterinarian Dr. Robert Gerlach. But that's just preliminary information before painstaking genomic sequencing begins, said Gerlach, who praised Fish and Game for informing the public with the test results, and then spending the time it takes to tease out specific results. "We have just four positive samples in wild sheep and two in goats. We know it's present, we don't know how long it's been there, we don't know how widespread it is," he said. "People are saying this is a crisis and a disaster. Let's do what we're supposed to do … look at the facts." The state's Movi announcement Tuesday prompted renewed calls for regulations on domestic animals from a group that's lobbied the Alaska Board of Game since 2016 for fencing and other restrictions on farm-raised goats and sheep. The Alaska Wild Sheep Foundation in 2016 and last year asked the state Board of Game to bump domestic sheep and goats from Alaska's "clean list" of animals that don't require permits, a proposal that triggered outrage in the farming community. But the board, saying it lacked authority over domestic animals, tabled a decision in December. The foundation called the test results "tragic news" and is calling for mandatory testing of domestic sheep and goats. Foundation president Kevin Kehoe offered in a statement to pay for testing and "mitigation" of infected domestic animals for a total projected cost of $600,000. Kehoe said in a statement it's no surprise the pathogen appeared in wild sheep near Chickaloon given the proximity of nearby farms. Kehoe didn't immediately respond to an interview request. But livestock producers say the owner of the only sizable goat farm in the area moved away some time ago and only a few small farms remain. Sheep and goat owners have been working with the Alaska Farm Bureau, Fish and Game, the Alaska Wild Sheep Foundation, the state Division of Agriculture and state veterinarian on a collaborative plan. The state only began testing for Movi last year, so it's possible the pathogen existed in wild sheep in the Talkeetnas for years and just wasn't caught, said Suzy Crosby, who raises American Alpine goats on a Wasilla farm. "There have been no die-offs. This is not to say we should let down our guard," Crosby said. "However, it does not mean that it's time for a shotgun approach or drastic action." Fish and Game is working with the USDA Animal Disease Research Unit and the Washington Animal Disease Diagnostic Laboratory in Pullman on additional research.